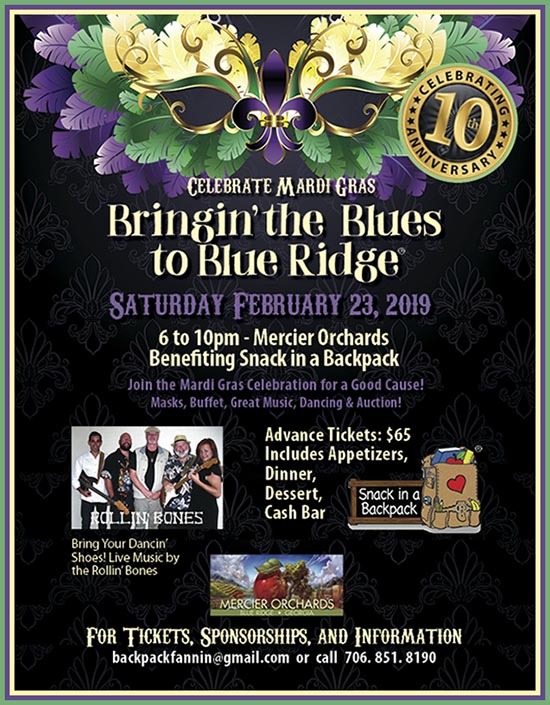 Join the Mardi Gras Celebration for a Good Cause! Masks, Great Music, Dancing, Auction, Door Prizes & More! This Fundraiser helps Snack in a Backpack continue to Feed the children of Fannin County during the school year on the weekends and extend on into the Summer Meal Program!